Product prices and availability are accurate as of 2019-04-19 23:24:49 UTC and are subject to change. Any price and availability information displayed on http://www.amazon.co.uk/ at the time of purchase will apply to the purchase of this product. 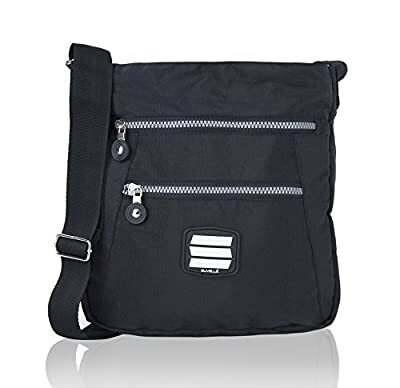 When you need your essentials close and hands free, this functional Suvelle Lightweight Go-Anywhere Travel Everyday Crossbody Bag Multi Pocket Shoulder Handbag is the perfect choice. 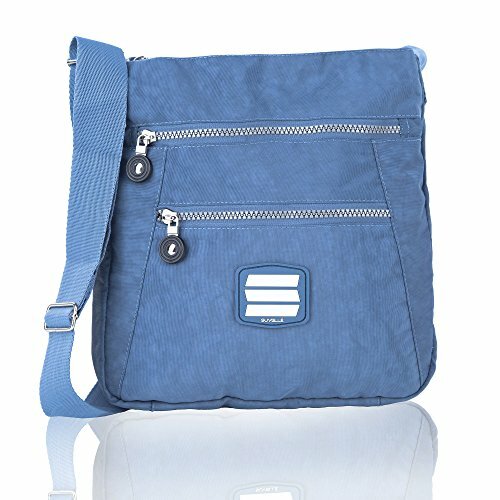 It offers all the style and sophistication you desire; sling it over your shoulder or across your body for some everyday flair, while leaving your hands free with the adjustable strap that offers a custom fit carrying. Fashioned in practical, durable crinkle nylon material with 3 spacious zippered compartments that offer plenty of storage to fit an ipad, tablet and your daily essentials, the fully lined interior with easy to see silver lining helps find items quickly, the top main compartments interior features, a back wall zippered pocket, 5 card slots, 2 pen loops, and 1 open multi functional pocket, the back exterior of the handbag includes a zippered pocket and exterior of the bag also has a key loop to keep your keys handy . 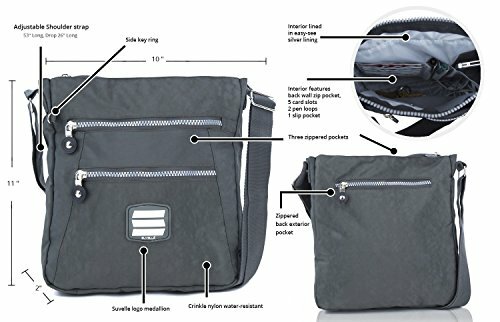 The easy-access pockets and an organized interior makes this Suvelle Lightweight Go-Anywhere Travel Everyday Crossbody Bag Multi Pocket Shoulder Handbag the ideal around-town companion.